When many people think of bivocational ministry, the image that comes to mind often includes a small rural church led by a pastor who may have come to ministry later in life or has less formal training. Perhaps the reason this stereotype is so strong is because for generations small rural churches have been faithfully led by pastors who worked other jobs. Such pastors were often local farmers, carpenters, or cowboys who felt a call to ministry and labored to serve the church while remaining in their previous profession. While bivocationalism is a relevant issue in many rural areas, bivocationalism not only a rural issue. There are many small churches in urban areas that are also served by bivocational pastors. This might surprise some people because urban areas have more people, and therefore one might think, larger churches able to fully compensate pastors. Yet, a growing number of urban pastors are bivocational. When discussing this issue recently with a denominational leader who serves 150 churches in the Philadelphia area, he told me that 70% of the pastors in those churches are bivocational. These are not rural churches. These are urban churches. Many of them have historic facilities in great locations. But they are no longer able to fully fund a pastor's salary. Fortunately, many pastors are willing to serve such churches because of their calling to ministry and their love for the saints. They are not in it for the money, nor the prestige, they are focused on being faithful to the Lord and His church. If churches in urban areas have larger congregations than those in rural areas, why would their pastors still need to be bivocational? Sometimes it is the economic situation of those who attend the congregation. I have a friend in Connecticut with a church of nearly 200. It is primarily made up of single moms and their children. Though the congregation is sizable, and quite active, there is no way it could fully support a pastor. Even in churches where the congregation may have more resources, the cost of living in some urban areas is significantly higher than the national average. 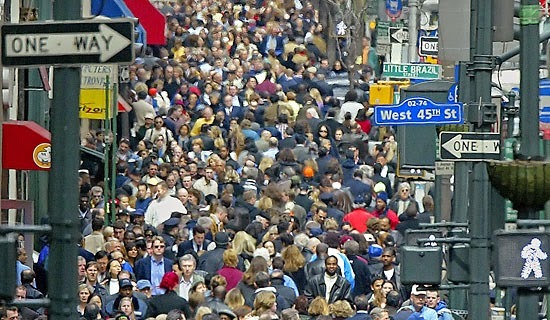 A church of 150 committed adults with an average middle class income may well be able to fully fund a pastor in a rural area, but it is less likely that the same size congregation of middle class earners in an urban area would be able to fully fund a pastor even though their budget might be significantly higher than a rural church. This is especially true if the rural church has a parsonage for the pastor to live in (as is often the case) but the urban church does not (which is also often the case). Another reality is that sometimes urban congregations have older buildings with high overhead. Relocating is never as easy as it sounds, and may not even be desirable if the church has a missional approach to its community. 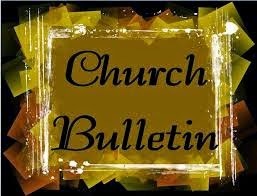 Therefore, a larger portion of the budget is consumed by the building, resulting in the pastor having to be bivocational. Yet another reason for urban bivocational ministry is that many churches in that context are ethnic churches. In some cultures the pastor is bivocational by default, it is just how it is done, regardless of the budget. There are also pastors who want to be bivocational so they can rub elbows with people in their community. They feel it allows them to be on mission right in the community they serve. The reasons for bivocational ministry in urban areas are numerous, but it is a growing reality that impacts urban churches. But we must avoid the temptation to relegate urban bivocational pastors to the "second-class" category. Many urban pastors have worked hard to gain formal theological education. Others may not have a degree on the wall, but they took their classes on the streets of the city and have an intense understanding of what it takes to reach urban areas for Christ. They often preach with a passion empowered not by text books but by the Holy Spirit. Bivocational pastors have much to offer urban areas and deserve the same respect as their fully funded colleagues. We should be doing all that we can to encourage and lift up these pastors. We need to shake off the stereotype that this is just a rural issue. We need to avoid anything that makes these pastors feel "second-class." We must accept that bivocationalism in urban areas is growing and will not go away. These pastors are part of the team that can reach urban areas effectively. Will we let them have a seat at the table? 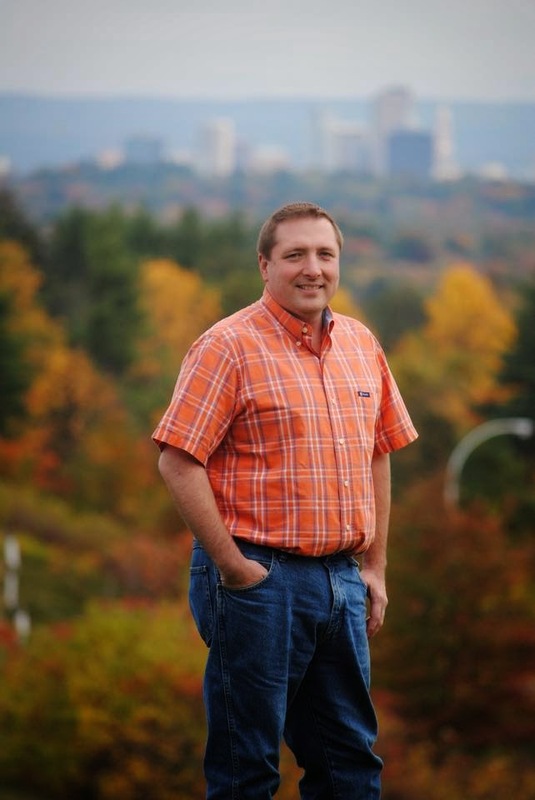 Terry Dorsett has been a church planter and author in New England for more than 20 years. He has served in both rural and urban areas. He is a happy husband, a proud father and adoring grandfather. He is a cancer survivor and believes that God works powerfully through times of suffering. He is the author of Developing Leadership Teams in the Bivocational Church. Technology is an important aspect of reaching the next generation. However, churches must balance the use of technology with a sense of the sacred. While many young people may have wandered from the church traditions of their childhood and may even question the historical teachings of the church, they often still have a vague memory of the sacred. Since many people in these situations grew up in more formal worship environments, they often believe some of the more formal elements of worship are sacred. Therefore, churches seeking to reach postmodernists should rediscover some of the more liturgical aspects of worship, even if that is not typical of the churches' particular worship style. For example, many postmodern people have enough past connection with church to grasp that the Lord’s Prayer is meaningful. Therefore, they expect to recite it when they come to church. Likewise, they may think that candles are appropriate for a worship setting. Churches may want to add some candles to their sanctuary if they do not already use them. Postmodernists understand that taking communion is something special, even though they may not have participated in it in some time. Churches need to help them relearn what communion is and explain the steps required to be able to receive communion again. Members of the next generation seldom know the meaning of all these religious rituals, but in their minds, such traditions are all part of the sacred aspects of church. Though some evangelical churches shy away from such formal expressions of faith, we may want to prayerfully consider incorporating more of these elements into our worship experience. There is no need to adopt all the practices of liturgical churches. After all, people are leaving those churches because they ﬁnd the services to be dry and dull. However, combining one or two of the more liturgical elements with the use of technology, vibrant music, experiential worship, passionate preaching, and a welcoming atmosphere creates a powerful experience for postmodern people. Churches can use technology in innovative ways without losing the sense of the sacred during a worship service. In yesterday’s post we discussed the importance of churches being part of a group instead of being lone rangers. We continue that discussion today. In my role as a denominational leader, I am often contacted by non-denominational churches going through times of difficulty. They have heard that I helped other struggling churches and am hopeful that I can help them too. Because I care deeply about expanding the Kingdom of God regardless of denominations, I try to do what I can for such churches. But I must admit that sometimes it is frustrating. Think about this issue from my perspective. When such churches were healthy and had something to offer, they did not want to be connected to my denomination. But now that they are struggling and have little to offer, they want to join up and receive help. It is much like a person in the community who does not attend church, but when he or she needs help with the rent or some marriage counseling or assistance for one of their children, he or she shows up to a church and expects the church to offer free help for all of his or her problems. It makes one wonder about the real motivation behind the request for help. But just as good churches seek to help individuals in crisis, good denominations try to help churches going through struggles, even when they are outside the fold. However, that help is often much more limited than if the church were inside the tribe. I think it is important for independent churches that have sought denominational help during times of crisis to remember who helped them once they are healthy and vibrant again. They should be willing to get involved in that group and support it so that the denomination can offer assistance to other churches. Non-denominational churches that are currently not in a time of crisis, should consider joining a group now so that when their time of trial comes, they will already be in place to receive help. That way instead of being outsiders looking for a handout, they become part of the family and everyone feels good about helping them. For those non-denominational churches that do not want to be controlled by a denomination, there are a large number of denominations that believe in local church control. The Southern Baptist Convention, of which I am a part, is one of them. Our churches own their own buildings, select their own pastors, ordain their own leaders, write their own sermons, and control their own budgets. Converge, another Baptist group, is also a good option, though much smaller in scope than the SBC. The Evangelical Free is also a good option for those who prefer a less baptistic expression, as are any number of small denominations across America. There is no real reason to be non-denominational when so many options are available that do not require giving up control of one’s church. Do not wait for the moment of crisis to come, find a group NOW and go through whatever process is needed to help your church become part of a family of churches so that when your hour of need comes, it will be natural to ask for help instead of awkward. It is common for churches today to be non-denominational, sort of like religious free agents without ties to any particular team. 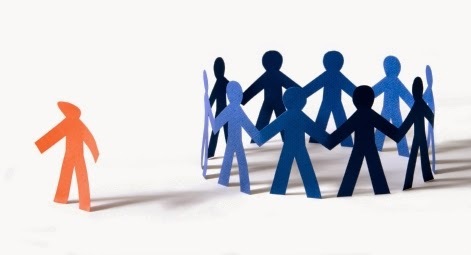 There are many reasons a church may choose not to be part of denomination, but often it is either because they do not want to be controlled by some outside group or it is because they want people from a wide variety of denominations to feel comfortable attending their church. Both of these concerns are valid. However, being non-denominational is not the only avenue available in these situations. Such an approach has many disadvantages. While non-aligned churches may do well under the leadership of energetic and charismatic pastors, what happens when they experience times of difficulties? Difficulties will come. It is not a matter of “if” but “when.” Difficulties may come after their popular pastors are no longer with leading them. It may be a serious problem with a building, a staff member or some internal church conflict, but trouble will eventually find its way to all churches because that is just a reality of fallen world we live in. When churches that are part of a denomination experience trouble, they have a built in support system to help them. While some denominations are better at helping than others, all offer some level of assistance to churches going through transition. Unaffiliated churches do not have that support structure. As a result, they often struggle more than needed. Some do not survive the transition. Though every denomination has its strengths and weaknesses, there is something valuable about being part of a group that offers guidance and assistance. I recently listened to a reporter on the nightly news interview a mother with a severely handicapped child. She said her greatest struggle was that she often felt alone. Very few people could understand her unique situation and that frequently left her isolated emotionally and physically. Over the years of my ministry, I have met many people who faced challenging life circumstances. That sense of loneliness seems to be a common experience. Though we all have different challenges to endure, we can all acknowledge that life is sometimes hard. In those moments, we may feel all alone in the world. One person expressed that feeling this way; she said “I feel like emotional orphan without a family to love me.” Many of us have felt that way at some point or another. Our loneliness and isolation can become like shackles that hold us back and rob us of the peace and comfort that we need to thrive. In those moments it is good to remember what Jesus said in John 14:18 "I will not leave you as orphans; I will come to you." Jesus also said “Peace I leave with you; my peace I give to you. Not as the world gives do I give to you. Let not your hearts be troubled, neither let them be afraid” (John 14:27). Troubles and difficulties will always be part of life. Knowing that we are not alone, that we are not orphans without a Heavenly Father to care of us, brings comfort in the midst of trials. Having a strong connection with Jesus gives us peace in the midst of pain and lifts our hearts when we are troubled. Those of us who know Jesus have experienced this comfort and peace many times but still need to be reminded of them in our moments of travail. Those who do not know Jesus often long for the peace He offers though they may not be able to express that desire in theological words. If you do not know Jesus, turn to Him today. Open your heart and mind to His love and commit to follow Him for the rest of your life. Receiving Jesus does not mean that all our problems will go away, but it does mean that we will no longer be spiritual orphans in this world. I have spent most of my life in vocational ministry. I have done children's ministry. I have done youth ministry. I have been the pastor of a church with a handful of members and one that had over 200 in worship. I have been a church planter. I have been an interim pastor. I have been a denominational worker. I have always worked hard in my service for the Lord. There would be people who would say I have accomplished a lot through my work for the Lord, and yet the spiritual brokenness around me remains so great. What I long for is a movement of God that would change our culture and point us back to the Father. At times it seems like that is an impossible dream. But I am reminded of what Jesus said in John 14:12 "Truly, truly, I say to you, whoever believes in me will also do the works that I do; and greater works than these will he do, because I am going to the Father." The work I have accomplished on earth is the tiniest fraction of a dot compared to the work Jesus did. Yet Jesus says that we will do greater works than He. That is almost too overwhelming to comprehend, but Jesus said it, so it must be true. Accordingly to this verse, we will be able to do greater works because Jesus has gone back to His Father having already completed the greatest work of all, the atonement for sin for all who believe. In that single work Jesus changed the playing field. Any small thing any of us might accomplish stands on top of what Jesus has already done. Though sometimes we may feel like we are starting at zero, we are actually starting at the finish line, with the race already won by our Lord. In that sense, if we take even one step in the right direction, it is a "greater work" because of where the work starts. As we go through our ministry today, may we rejoice that Jesus has already won the victory, and everything we do is just part of the victory lap! I was talking to a young man recently who said he really was not into religion but thought it was wonderful that I was. He described a number of ways he tries to be spiritual, but concluded that in the end we all go to the same place anyway so it really did not matter what religion we followed, or even if we followed one at all, so long as we were satisfied with our lives. This young man is indicative of the prevailing opinion in our culture. Our culture tells us that all spirituality is equal, that religions are the same. But Jesus said "I am the way, and the truth, and the life. No one comes to the Father except through me (John 14:6). There is only one way to heaven and that is through Jesus. That may sound narrow minded. It might sound old-fashioned. It might sound exclusive. But it is true. Let us go forth today unashamed of the Gospel and share the message of hope found in Jesus to anyone who will listen. In my role as a missionary and church training consultant, I speak in a wide variety of churches on a regular basis. I find it interesting to observe the wide variety of worship styles that different churches have. Some are very formal, some less so. Even in churches of the same denomination, the order of service varies. As a frequent guest at church, I am always more comfortable when I am offered a printed order of service that tells me what is coming up next in the service. I feel more comfortable when I can see a song or two listed that I know, even if the rest of the song selections are unknown to me. I feel better knowing when the prayer time or offering is going to be, so I can be ready to take part instead of scrambling around at the last moment. There is nothing more awkward than everyone around me suddenly standing up during a prayer or Bible reading time and I did not realize I were supposed to stand. It is always awkward when everyone suddenly starts saying the Lord’s Prayer, or some other verbal response, and I missed the cue because it was not given. It leaves me wondering if I am supposed to join in or not. Though the regular attendees may not need a printed order of service, visitors sure do appreciate one. If we want our visitors to feel comfortable, we must make sure they know what is going to happen during the service and when they are supposed to stand, kneel, sit, or respond in some other way. Otherwise the uncomfortable feelings they have as the guess their way through the service may keep them from returning. 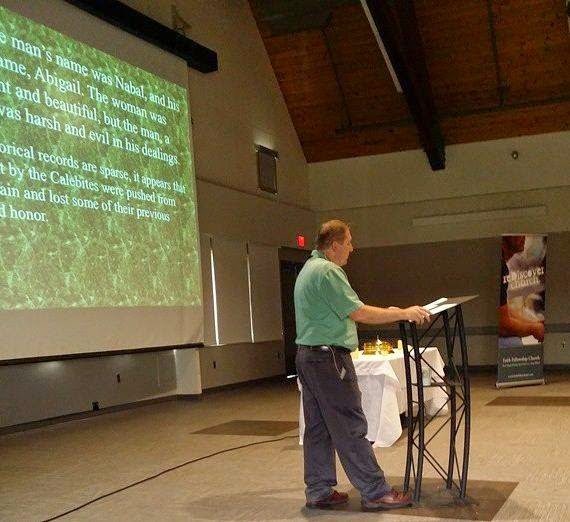 In my role as a missionary and church training consultant, I speak in a wide variety of churches on a regular basis. Many of them have some type of greeting time during the service. I suppose they think this greeting time makes them feel warm and inviting to guests. In my experience, the opposite is almost always true. As a frequent guest in churches, I find the greeting time one of the most awkward parts of the service. During these greetings times, rarely does anyone come speak to guests like me. When they do greet guests, it is a polite handshake that may last a second or two. Then off they rush to greet something they know, which usually includes a hug and happy/giggling/enthusiastic talk for an extended period of time. The guest (often me) is left standing there awkwardly. Instead of making those of us who are visiting feel welcome, all this does is reinforce that we are not a part of this group. We got a polite handshake when others got a warm greeting. It seems that greeting times make the regular attenders feel warm and loved. But it make visitors feel cold and exposed. My suggestion is to have church members come to church 10 minutes early, or stay ten minutes after the service, and do all their hugging and hand shaking and talking before or after church. Then drop the “official” greeting time out of the service and instead add in an extra congregational song. It will make the service more worshipful and less awkward for guests. Are We Resolved to Follow Jesus? As the New Year starts, we often make New Year’s resolutions. We might resolve to START doing something good that we have always wanted to do. We might resolve to STOP a bad habit that we have struggled with for a long time. 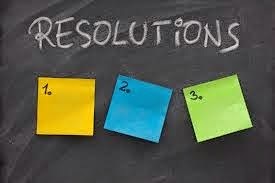 The point of New Year’s resolutions is to improve ourselves in the New Year so we are better than we were in the old one. Therefore if anyone is in Christ, there is a new creation; old things have passed away, and look, new things have come. Now everything is from God, who reconciled us to Himself through Christ and gave us the ministry of reconciliation: that is, in Christ, God was reconciling the world to Himself, not counting their trespasses against them, and He has committed the message of reconciliation to us. Verse 17 - Therefore if anyone is in Christ, there is a new creation; old things have passed away, and look, new things have come. • When Christians make New Year’s resolutions they have an advantage over their non-believing friends because Christ helps us change into a new creation. Actually, in a theological sense, Christians have already been made new. The sins and mistakes and dumb things we did in the past have already been washed away by the blood of Christ. • Though theologically Christians may already be new in Christ, from a practical perspective, we still have a lot of growing and changing to do in order to be new. It is important to realize that when an “old thing” goes away it creates a vacuum in our lives. A new thing must fill that vacuum or else the old thing will just come right back. We must learn to replace the negative aspects of our lives with positive things. Verse 18 - Now everything is from God, who reconciled us to Himself through Christ and gave us the ministry of reconciliation. • This verse says everything is from God. In the context of this passage, it means everything new that replaces the old is from God. The idea is that Christians are guaranteed God’s help in overcoming our difficulties and becoming new. We have the Holy Spirit to help us make and keep our resolutions. But we must pray and ask God for wisdom and strength. When we pray, we can know that God will hear and respond. God has promised that every Christian has access to Him through prayer (Romans 5:2). God always answers our prayers, though sometimes not the way we expected. God also often responds to the prayers of non-Christians because He is a God of grace and mercy, He is not obligated to do so. • If we want to be better people this year than we were last year, we should spend some time praying and asking God what good things we should be doing to replace the negative things we have done in the past. If we pray and ask God for guidance, we should be prepared to listen and respond when He answers. • We must also remember that God has already answered our most important prayer, which was for our own salvation. Because of that, we are now reconciled with God. Reconcile means to reunite those who are estranged. It means to remove the enmity between them and change from a position of hostility to a relationship of friendship. Before we became Christians, we lived in opposition to God, living our lives however we wanted to with no regard for God’s plans. We were not in a position of friendship with God and often worked against His plans for our lives. But once we became Christians, things began to change in our lives. Our perspectives and our priorities changed. The way we spent our time, our energy and our resources all changed. Once we became friends of God, we began to work with Him instead of against Him. • Perhaps one of the greatest things that changed in our lives was that God gave us a ministry of reconciliation. That means that God calls us to help others become friends of God as well. Just as someone told us how we could become the friends of God, we should tell others. Along with all the other resolutions Christians make, we should resolve to share our faith regularly with others. Due to differences in our personalities and life situations, we may all do this in different ways, but we should all be sharing Jesus in some way as part of our New Year’s resolutions. Verse 19 - that is, in Christ, God was reconciling the world to Himself, not counting their trespasses against them, and He has committed the message of reconciliation to us. • Notice that as God is working to reconcile the world to Himself, He does not pay attention to the sins of those He is trying to reach. We may be tempted to only share with people who we think are good enough for the Gospel. But that is not what God does. God does not put us on a scale and then decide who is worth reaching. He reaches out with grace and mercy to all who believe. The most sinful among us can be reconciled to God if we turn to Him in faith. Maybe 2014 was a bad year for our relationship with God, but 2015 can be our best year yet. But we must not take God’s grace and mercy for granted. One day all of our chances will be used up and we will stand before God and give an account. At that moment we will either pass into heaven or be cast into hell and our chance to make resolutions about change will have passed. But at this moment, we still have time to ask God to forgive us and resolve ourselves to follow Him. Will we request that forgiveness? Will we be resolved to follow Him? Those who are not Christians should resolve that 2015 will be the year of their salvation. Those who are Christians should resolve to share the Gospel in 2015 with anyone who will listen. • Most people make New Year’s resolutions. Christians have the promise from the Lord for help in fulfilling our resolutions. • To increase the success rate of our resolutions we must replace our old habits with new habits that will please God. • One resolution we should add to our list is to witness more to those who are lost because God has given each of us the ministry of reconciliation.